Choosing an area to invest in used to involve a hard work and guesswork. 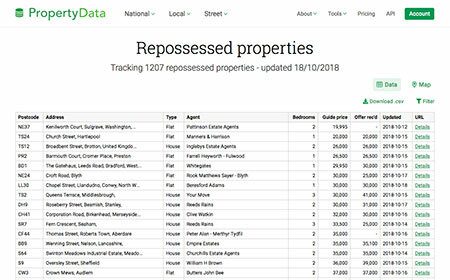 Now you can use PropertyData's national postcode table or postcode map to easily compare key investment metrics of postcode districts nationally. Data points such as prices, rents, demographics and market composition help you to choose an area that fits your investment profile. 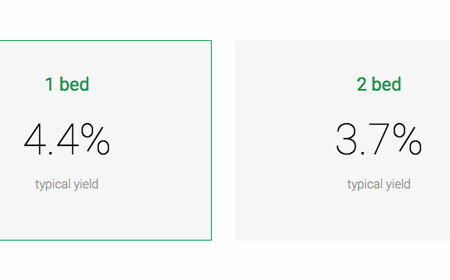 If you prioritise high rental yields, you can see the best yield yields in the UK in real time, with yields of over 8% available. 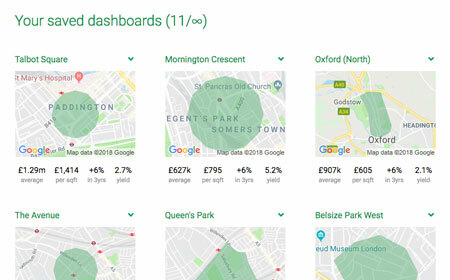 Draw any area in the UK to access instant locla analytics more about the area's property market. You'll find pricing, rental values, yields, capital growth, property stock analysis demographics and much more. PropertyData members have access to the UK's most comprehensive and accurate price per square foot database. 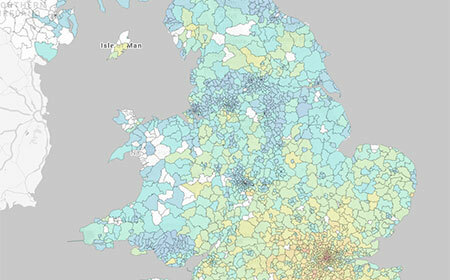 PropertyData is the quickest way to compare properties in a given area. View clean, simple property reports to help determine whether a property you are looking at is correctly priced for sale or rent. Jump straight into the property portals where required for further information or to contact the agent. Save areas side-by-side to compare key statistics such as yields, average prices and 3-year capital growth. Review possible purchase areas, and monitor how areas in which you own properties are performing. 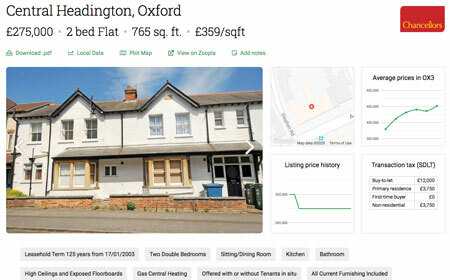 Our real-time algorithms scour the market for recently repossessed and unmodernised properties (plus other development opportunities like plots with planning permission) around the country. PropertyData 'Max' subscribers get access to our daily-updated lists, maps and downloads. 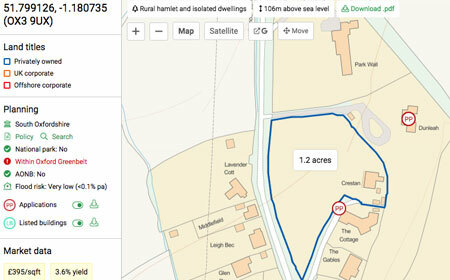 High resolution maps of buildings and boundaries overlaid with data points showing properties for sale or let, planning permission applications and listed buildings. Perfect for understanding a property's plot layout, identifying development potential, and due dilligence on nearby properties. Ensure you are charging an appropriate and competitive rent to minimise void periods and improve monthly return. 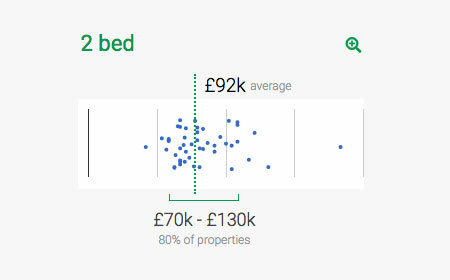 Analyse the local rental market and benchmark against similar properties. 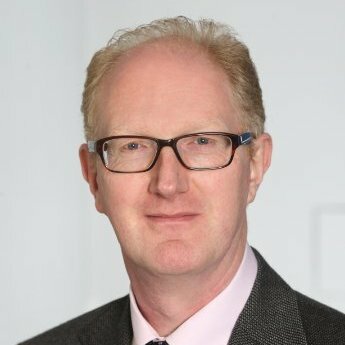 "I used to compare properties against the market by manually making a spreadsheet of similar properties from Rightmove listings. PropertyData has made this process 10x quicker and easier." 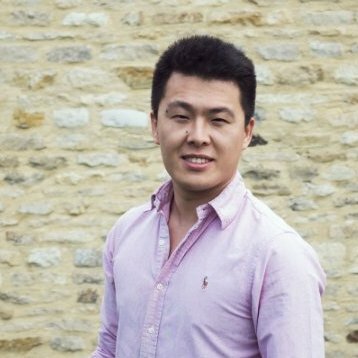 "PropertyData helps me to identify possible property investment areas by comparing objective data, which I can then combine with personal knowledge and gut instinct to make a balanced decision."